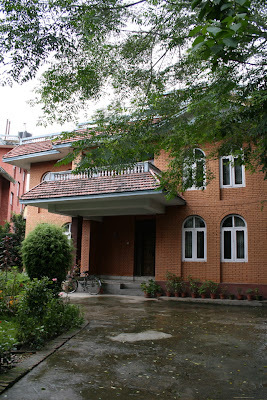 Our house in Kathmandu. For now, empty, save for a couple of cups and plates and bedding on the floor. Feels a little weird, tumbling out of our tiny Temple Street apartment into all this space. So now there’s room for pacing about when stress levels soar, room for sprawling out and room for friends. So. Much. Space. And for a fraction of what we paid in Hong Kong. The mind boggles to comprehend. What on earth are we going to put in it?